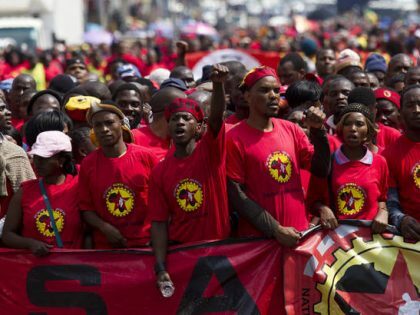 What is it like to be a woman leader in South Africa's Economic Freedom Fighters? In August 2012, police massacred 34 mineworkers at a platinum mine owned by multinational Lonmin in Marikana in South Africa’s North West Province. In the wake of the protests, a group of women protesters began to highlight the plight of the slain mineworkers’ widows and children. At one point, the police shot Paulina Masutlhe, one of the leaders of the protest and a local community leader, who also happened to be a councillor from the ruling ANC. She later died from her injuries in hospital. Councillor Masutlhe was providing support for the striking mineworkers and the families of those killed in the massacre. Following these incidents, the women formed Sikhala Sonke Women’s Organization (translated as “we are crying together”) and further distanced themselves from the ruling ANC by launching a branch of the Economic Freedom Fighters (EFF) in their Wonderkop ward. These women are the subject of a documentary film, Strike a Rock, directed by Aliki Sargaras. The film follows the day-to-day activities of Sikhala Sonke as they struggle for housing and service delivery in Marikana. They use their involvement within the community to mobilize local support for the EFF, which leads to the deployment of their leader Primrose Sonti as a member of parliament for the EFF, following the 2014 national elections. Footage of testimony given at the Marikana Commission of Inquiry (Farlam Commission) from 2012-2014 is used to show how little Lonmin did to meet their obligations to provide housing under the company’s social and labour plan (SLP). This led Sikhala Sonke to launch a legal complaint on the issue and enter into dispute resolution with Lonmin, while continuing to draw attention to the plight of those living in Marikana. 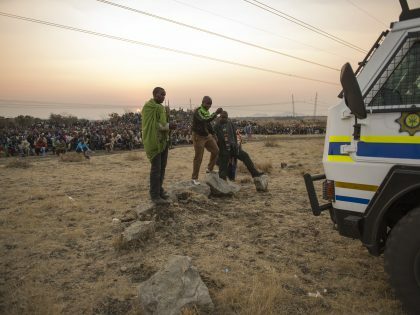 Despite the apparent increase in political power and agency among the women of Marikana, their key demands remain unresolved at the end of the film. The pressure from Sikhala Sonke was ultimately not enough to force Lonmin into any concessions, leading the women to withdraw from the process because they felt their voices were still not being heard. The solidarity of activists is depicted as relatively powerless against the profit motives of South Africa’s resource extraction industry. Since the release of the film has Lonmin renewed their pledges to build housing, but the company’s prior record and the proposed sale of the company to Sibanye-Stillwater (which may cut up to 10,000 jobs) raises doubts that they will significantly improve living conditions in Marikana in the near future. A secondary character who makes an impression in the film is Cyril Ramaphosa, South Africa’s new president. Ramaphosa was a non-executive director of Lonmin at the time of the massacre. He is shown at the Marikana Commission in 2014, testifying to explain the lack of delivery on the mining company’s obligations. One of Lonmin’s big PR boasts was that during the first two years of its SLP, it would make Marikana residents “comfortably middle class” by 2011. By 2009 only three of the 3,200 houses promised had been built, and by 2017 Lonmin had built houses for less than 20% of its workforce. This portrayal of Ramaphosa undercuts the euphoria that has built in some quarters about his ascendance to the presidency. There’s a scene in Strike a Rock, where the “courtroom erupts in chants of “blood on his hands!” during Ramaphosa’s testimony at the Marikana Commission. 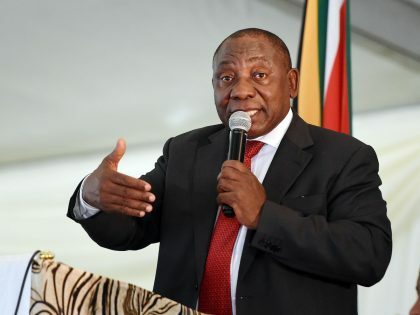 Ramaphosa’s involvement in Lonmin and the Marikana massacre is likely to feature prominently in the lead-up to the 2019 election, as the EFF pivots from the anti-Zuma focus that became its public rallying cry since August 2014 when its leader Julius Malema demanded that Zuma “pay back the money” (in reference to Zuma’s extraordinary spending from the public purse on updgrades to his family compound in KwaZulu-Natal) in a parliamentary session. While the EFF may get some credit for putting pressure on Zuma to be removed as president, his absence also takes away some of its most potent electoral ammunition. In the post-Zuma era, a sustained critique of Ramaphosa’s history and leadership potential may be crucial in determining the EFF’s ability to sustain itself and draw support from disenchanted ANC supporters. The EFF’s job is made difficult by the ANC endorsing two EFF policy planks: free education and land expropriation without compensation (after a motion tabled by the EFF). In doing this, the ANC co-opted two of the major policy planks that distinguished the EFF from the ruling party to attract away support from young South Africans. It is telling that EFF Chief Parliamentary Whip, Floyd Shivambu, took the first available opportunity in parliament to personally challenge the new President to specifically improve the lives of the people of Marikana. This is a problem in South African politics, where representatives are chosen through a proportional representation list system, where parties pick MPs. Public representatives are predictably more loyal to the party than to voters, who do not directly elect them. The task of representing local constituencies falls squarely on ward councillors who represent their residents in municipal government. However, these councillors, particularly those representing the most marginalized communities, frequently move outside of their wards once elected and distance themselves from the everyday concerns of their communities. What emerges clearly in Strike a Rock is a demand for democracy that it closer to the people and better suited to meeting their daily needs. Party branches like the EFF chapter in Wonderkop led by members of Sikhala Sonke are supposed to be the mechanisms for intra-party democracy and the resolution of the concerns that individual communities are facing. However, within the ANC, control of local branches has been a powerful tool for personal enrichment, leading to in-fighting and outright violence. These battles have been particular brutal in Kwa-Zulu Natal, where ward councillors and candidates were the targets of more than 80 political murders in that province since 2011. The top-down nature of party politics in South Africa means that the demands and desire of branches are often overridden, as seen in the protests against the deployment of Thoko Didiza as ANC mayoral candidate in Tshwane for the 2016 elections. These dynamics were readily apparent in Marikana’s ward 32, where the imposition of a new councillor candidate shortly before the 2016 elections led to protests and the eventual victory of the EFF in that ward. The discontent with party-politics-as-usual in the region prompted the emergence of the Forum 4 Service Delivery (F4SD), a party formed by a collection of independent candidates from different political backgrounds who argued that major parties offered little chance to improve the conditions in their communities. The F4SD is strongest in North West where it captured 3% of the vote. However, this provides it minimal leverage to actually influence service delivery. The EFF promised a return to the productive branch politics by inaugurating 2017 as its “year of the branch,” but in practice this has resulted in an increase in the ranks of party supporters and not necessarily any decentralization of democratic decision-making to the ward level. Indeed, the structures of the EFF replicate those of the ANC, with branches used pragmatically as the building blocks for an electioneering machine that prioritizes numbers above all else. 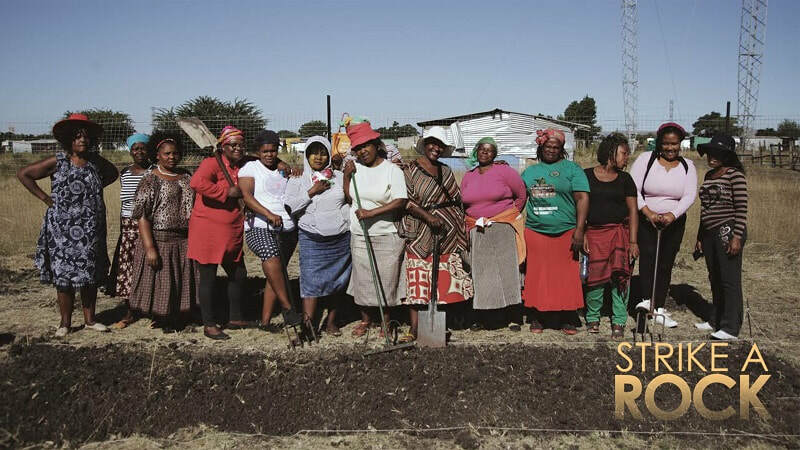 In Strike a Rock, Sikhala Sonke’s leader, Magwangqana, expresses the hope of many working-class women across the country – that grassroots activism can produce real changes and improve the lives of South Africa’s most marginalized people. South Africa’s President carries much hope. But fundamental change requires he radically restructures the state and the economy. 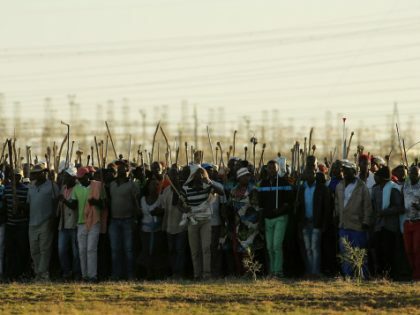 “Miners Shot Down” – the haunting and emotional documentary of the Marikana massacre.